Whether you're playing retro games through an emulator on Windows, Mac or a custom-built Raspberry Pi console, you need a controller. 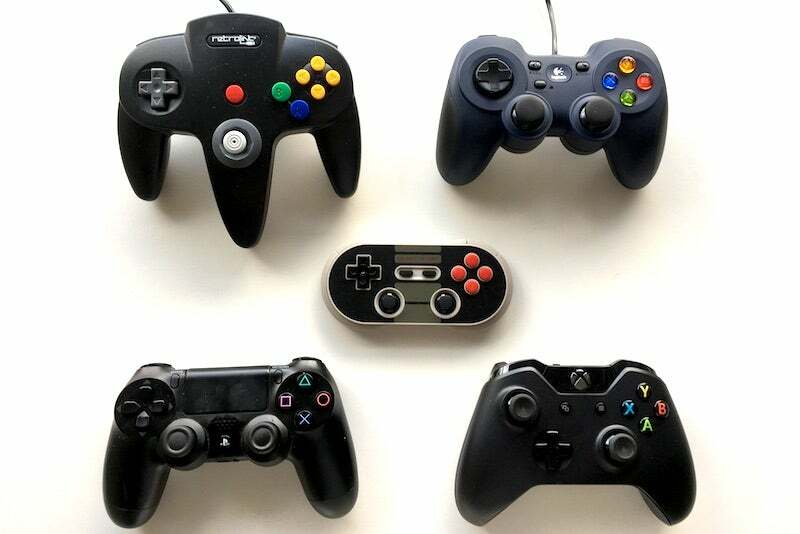 We tested some of the most popular options, from simple Xbox controllers to retro replicas and expensive Bluetooth-enabled gamepads, to figure out which are worth your money. Hundreds of other generic options are available, most serving as replicas for SNES, NES or Genesis, but the reviews are so poor for the bulk of them that I decided to skip them. Most complaints about cheaper controllers come down to build quality and button actuation, both of which I've also found problematic on the generic controllers I've used over the years. You get what you pay for, and most sub-$15 options aren't worth your money. I also decided to skip NES-replicas since the two button layout limits what you can play. For testing, I played a bunch of different games for several hours using each controller. I spent the bulk of those hours for 2D games with Ninja Gaiden III and Super Street Fighter II. I chose Ninja Gaiden because it requires fast response time from the buttons and the directional pad, while Super Street Fighter II is one of the rare games that uses all six buttons on a controller and requires dexterity with the D-pad. As for 3D games, I spend the most time with Super Mario 64 for Nintendo 64, Crazy Taxi for Dreamcast and Quake II on PlayStation 1. For software, I tested all the controllers with RetroArch on Windows, OpenEmu on Mac and RetroPie on the Raspberry Pi. 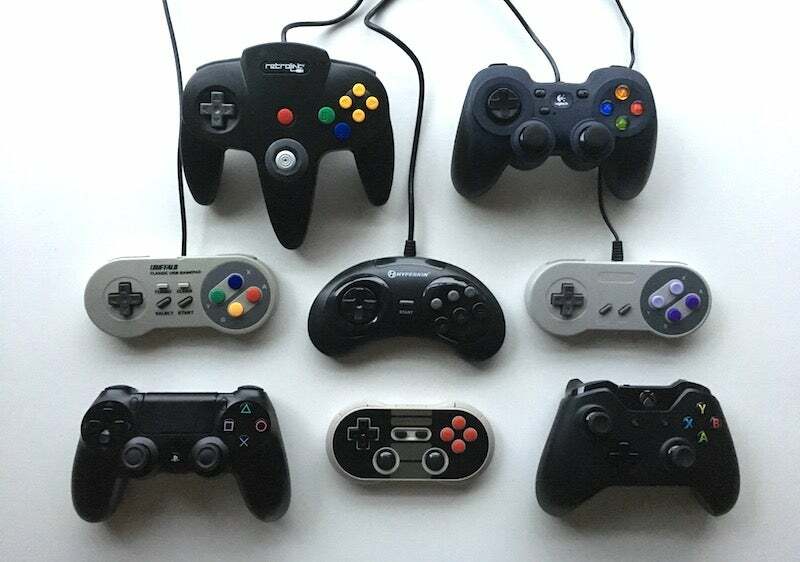 Every controller I tested worked with every operating system I tested it on, though I had some setup quirks with some of the Bluetooth controllers. In the end, after considerable testing, I decided there was no such thing as the perfect do-all controller, so I've split my picks into two categories: A controller for just 2D gaming, and an all-purpose controller for both 2D and 3D games. If you're just looking to play 2D games from console generations like the NES, SNES, Genesis or Turbografx-16, I found that less is more, and the smaller controllers built for retro games felt much better than modern dual-analogue options. 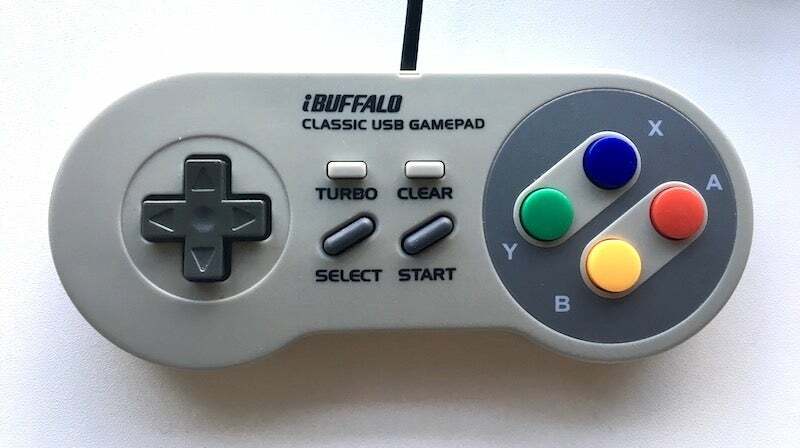 Through all my tests, there was one controller that not only felt the best for me, but also comes recommended from a variety of sources: The Buffalo Classic USB Gamepad. The Buffalo Classic controller has stellar reviews on Amazon and comes recommended from both How-To Geek and Shovel Knight developer Yacht Club Games. It also often tops out lists from the likes of NeoGAF, Reddit and Racketboy. The Buffalo Classic is a near exact size replica of the original SNES controller, though it opts for the Super Famicom-style face button design. The buttons have been resilient and continue to work just as they did when I first opened the box. The feedback is also just as good as the original SNES controller, which means the D-pad has a pleasing "click" with each movement and the buttons bounce back immediately after pressing them. Since it's USB, it's easy to set up. Just plug it in and you're ready to go. That's a huge step up from the Tomee SNES controller we've recommended in the past. The Tomee controller feels poorly made and after a couple hours of use the buttons started to squeak and feel mushy. The D-pad feels like it's held onto the controller with bubblegum and only responds when you press with a lot of force. Of course, the Super Nintendo inspired design isn't your only option. I also tested the Hyperkin Genesis controller. This was the only Genesis-inspired controller I could find with decent reviews. The six face buttons feel good, but the D-pad is stiffer than the original Genesis controller. It also doesn't have the nice rolling action that set the Genesis controller apart from the SNES and made it perfect for games like Street Fighter II. If you're only playing Genesis games, the Hyperkin controller does the job, but I found the SNES style works a little better for general use, especially when you consider how few Genesis games actually used all six face buttons. If you want or need to go wireless, then the 8BitDo line of Bluetooth gamepads are well constructed, albeit luxury options. While the SNES30 Pro was the gamepad I tested the most here, I also got my hands on a couple of other 8BitDo models, including the NES30 ($59.95) and SNES30 ($38.99), and they're all similarly built. 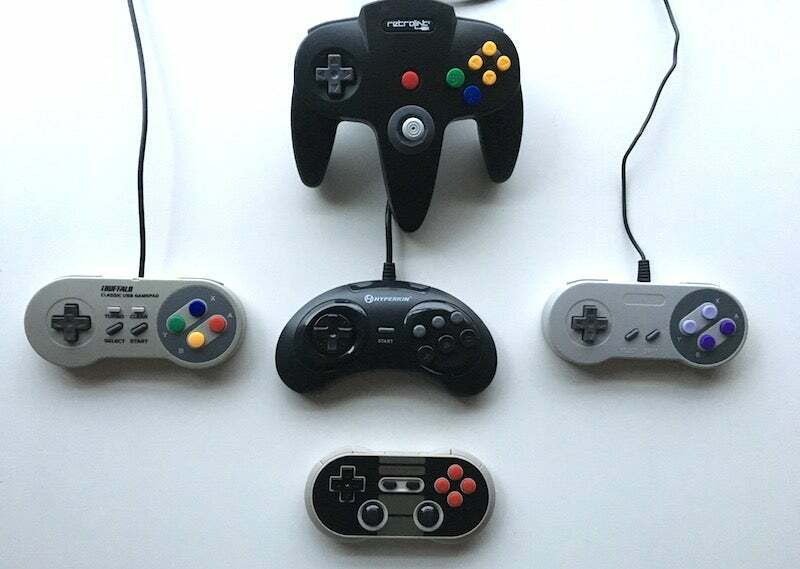 Despite their appearance, the controllers aren't exactly replicas of the original Nintendo controllers. The buttons and D-pad are much more clicky than the originals and they all feel more like a modern controller. 8BitDo's entire line of controllers are customisable, include firmware updates and even support key remapping. It's overkill for the majority of us, but if a ton of advanced options is what you want, then 8BitDo's extensive line of controllers will suit your needs. From my experience the quality of controller extends to all their options. However, the SNES30 Pro and NES30 are both tiny, measuring at about the same size as an original NES controller (which is not as big as you remember it being). If you have large hands, these are uncomfortable to hold. The Bluetooth also adds quite a bit to the cost, especially with the SNES30 Pro. If you don't need wireless, this is totally overkill, but 8BitDo makes a quality, stylish controller provided you have smaller hands and you don't mind paying extra. I also gave the Nintendo 64 inspired Retrolink controller a shot for regular old NES, SNES and Genesis games, and it's truly awful. The controller itself is well made, but the bizarre button layout of the Nintendo 64 means it's next to impossible to use this controller for anything but Nintendo 64 games. That includes the awkwardly placed and weirdly sized analogue joystick, which bounces back into place with a satisfying, but odd, rubber band effect, just like on the original controller. The same can't be said about the D-pad, which feels mushy at best. The slow response time on the D-pad makes it hard to get through a single level in a game like Ninja Gaiden. I'll get into this much more in the section below, but after hours of testing, I found modern controllers, like the Logitech F310, Xbox One and DualShock, far too cumbersome to use for 2D gaming exclusively. That's not to say they don't work, but they're heavy and the additional analogue inputs are unnecessary if you don't plan on playing anything beyond the SNES generation. For that, the $US20 ($27) Buffalo Classic USB gamepad is all you need. 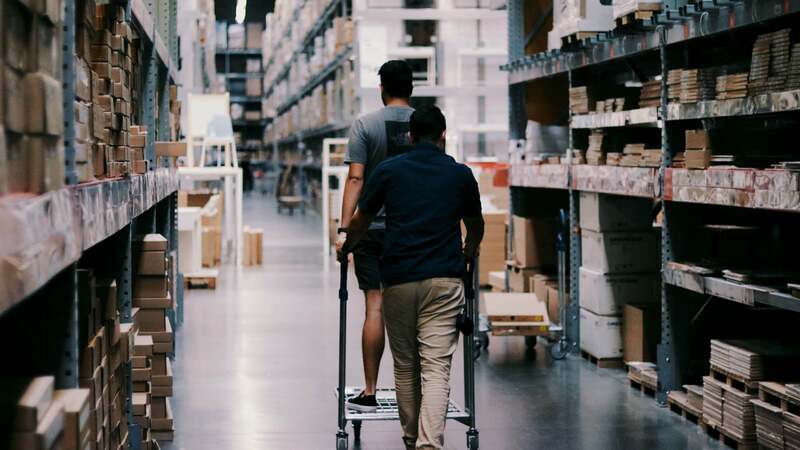 Though you'll have to tack on a few extra bucks for shipping from the US, and potentially a mail forwarding service. If you're looking for a catch-all controller to work with both 2D and 3D games, the Sony DualShock 4 is what you want. The directional pad is well suited for 2D games, while the analogue sticks are perfect to 3D games as well. It's far too bulky and expensive to recommend for just 2D games, but if you're looking to play everything from the NES to the PlayStation One, the DualShock has you covered. The DualShock 4 wins for me for a variety of reasons, but the main one is the D-pad. The buttons are responsive and the spongy click of each individual pad feels more like a classic controller than the other options I tested. The face button placement, size and style also feels natural when you're playing older games. If you already have a DualShock 4, you'll likely be happy with it for retro games. 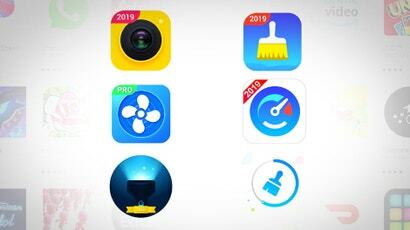 It's also a favourite among the likes of The Wirecutter and PC Gamer. You will need some additional software to pair the DualShock 4 with a PC, though it's not terribly hard to use. On the flipside, it pairs with RetroPie on the Raspberry Pi and with OpenEmu on the Mac out of the box. If you'd prefer a cheaper option, the PS3's DualShock 3 is just as good as the DualShock 4, but sadly doesn't just work out of the box and requires extra set up compared to the DualShock 4. 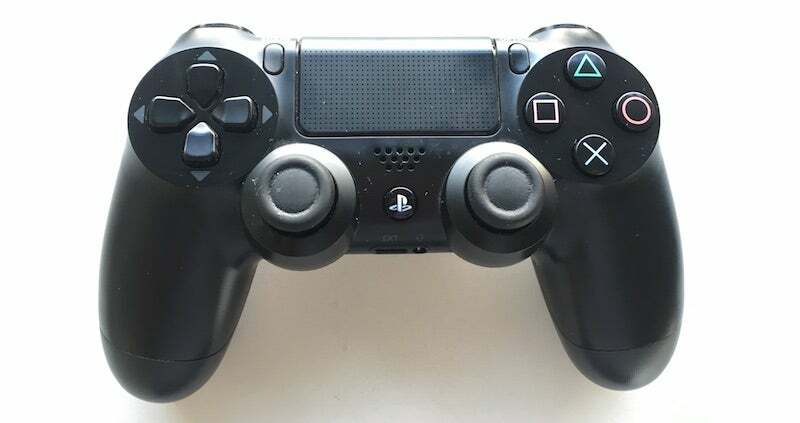 The squishier D-pad of the PS4 controller is in direct contrast to the Xbox One controller's clicky D-pad, which felt horrible for most retro games. Where the DualShock's D-pad softens its click like a classic NES controller would, the Xbox One feels and sounds more like you're pressing a key on a keyboard. While the D-pad style is a matter of preference, if you're looking for the same feel as older controllers, the Xbox One doesn't fit the bill. Aside from that, the D-pad placement in the centre of the controller is also awkward and doesn't work well for long bouts of play. The same goes for the cheaper Xbox 360 Controller, though the D-pad on that controller is basically unusable for most retro games because it's so unresponsive. The aforementioned SNES30 Pro also fits into this section just as much as the previous, but falls short with 3D games. It's too small for most people to use for any game that requires dual analogue sticks because they're tiny and jammed too close together. 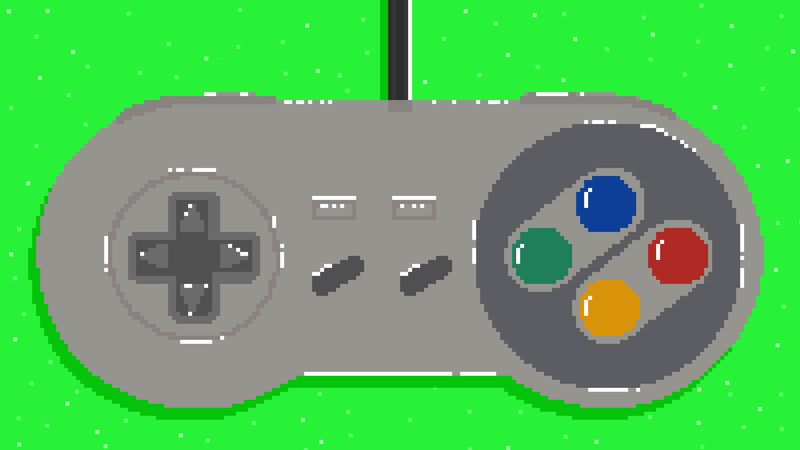 Likewise, the four buttons on the top of the controller are horribly placed, so it's difficult to use them. Even despite all that, if you're looking for a gamepad primarily for 2D games that can also handle the occasional 3D game, then the SNES30 Pro is fine, just don't expect it to be comfortable for long. If you only plan on playing Nintendo 64 games, the RetroLink controller does an admirable job of replicating the feel of the weird Nintendo 64 controller, though the single analogue stick makes it completely useless for games on any other console. It's impossible to recommend this controller for anything but Nintendo 64 games. If you're looking for a cheap option, the Logitech F310 (and its wireless counterpart, the F710 [$59]) are big sellers, but even at the $37 price point of the F310, it's hard to recommend. The analogue thumbsticks feel tight, the face buttons are a little too big and the input drop is too deep. This means it requires a little too much force to press a button in, which causes problems with any game that requires precise timing. The controller itself is also oddly shaped, feeling something like a mashup of both the Xbox controller and the DualShock. Most reviewers, including Polygon and The Wirecutter, have pointed out the F310 feels weird to hold and I'm inclined to agree. The D-pad on the F310 has a satisfying clickiness about it, but that doesn't translate to responsiveness on the game's end. A game controller is a personal thing, and which best suits you depends a lot on the size of your hands and what you've used in the past. If you're happy with what you have right now, there's no reason to change anything up, but if not, there's an option out there that will suit your needs.